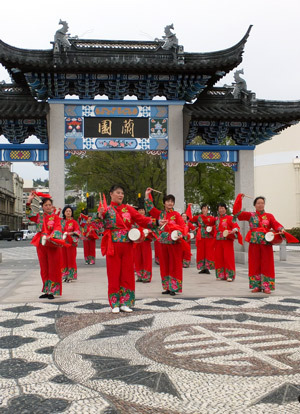 Weidi Xu, Chairperson of the Dunedin Chinese Association, leads her troupe of drummers in the shadow of the arch of the Chinese Garden, Dunedin. Cruise ship passengers, tourists and curious passers-by who ventured near Dunedin’s renowned Chinese Gardens on a sunny Saturday morning were wowed by a colourful, musical event when ladies from the Dunedin Chinese Association provided a dazzling display of dance combined with the playing of yao gu (waist drums) as they practised for forthcoming events in the city. 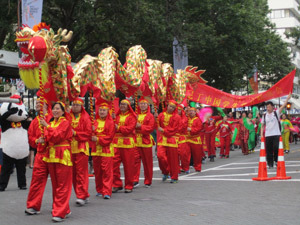 A donation from the Otago Masonic Charitable Trust helped to purchase the colourful costumes and waist drums that splash colour on the Saturday city scape. By the end of last year the Chinese ladies urgently needed to replace costumes and drums to enable them to continue to practise and perform their ancient art. Although they did not think that they would be considered, they applied to the Otago Masonic Charitable Trust (OMCT) for financial assistance for the new equipment and were amazed to find that, two months later, their wish had been granted. Otago, and indeed New Zealand as a whole, has had a long association with Chinese immigrants since the gold rushes in the mid-eighteen hundreds when thousands of Chinese poured into the country to work the gold fields. With them they brought their strong ancient culture, and this has been influential in the region ever since. A multi-ethnic organisation like Freemasonry could not fail to acquiesce to a plea for help for people from such a background and, as might be expected, the Otago Masonic Charitable Trust was there when called upon. 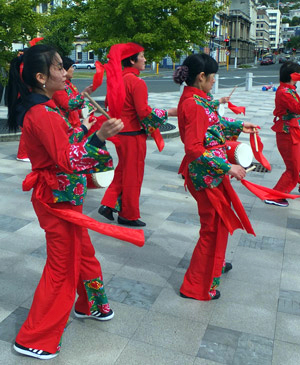 With their grant the Chinese Association purchased a suite of colourful costumes, waist drums, a computer and several other articles. Although the items purchased were all “Made in China”, one could not really argue that this was not perfectly appropriate. In the past the ladies have not been able to perform in Dunedin’s delightful Santa Parade (a charming event focused mainly on children and young families) but now, with the OMCT’s help, they can. Needless to say they are also in the line-up for the Chinese New Year celebrations in February. Located close to the CBD, Dunedin’s attractive and tranquil Chinese Garden form a quiet oasis within the busy city. 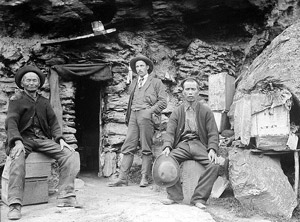 Chinese settlers flooded into New Zealand to work the gold fields in the mid-1800’s. On the day, the troupe performed flawlessly for our photographs; though it might conceivably be argued that the arrival of reporter David Loughrey and nationally known photographer Peter McIntosh**, from the newspaper The Otago Daily Times may also have helped spur them on! The colourful new costumes were well displayed during the Association’s interpretation of the ‘Moon Festival’ during which a young Kiwi dancer (R) performed. New Zealand is unique in having the four main Masonic constitutions, namely the Irish, English, Scottish and, of course, the New Zealand Constitutions based on its territory. In April 1958 these four gathered to discuss the possibility of establishing “a home for the aged” in the City of Dunedin. A committee was formed and the following month they founded ‘The Southern Masonic Association’, which was launched formally in September 1958 at the Moray Place Masonic Lodge (See “Home Sweet Home” in ‘Repository’ on this website.) in the presence of 200 Freemasons; 44 individual Lodges being represented. This Association became the charitable arm of Freemasonry in Otago. It was in 1976 that the name was changed to the Otago Masonic Charitable Trust (OMCT). The main body, the OMCT, also has under its wing, The Boock Estate Trust; The Port Chalmers Marine Lodge Bursary Fund and The Fred Staub Memorial Trust, the latter created in 2013. The Trust is financially very sound thanks in no small due to the outstanding skills of Fund Manager, Rt.W.Bro. Les Green. The OMCT helps deserving causes throughout the Otago region; its grants are made annually, and applications to the Trust must be in BEFORE the end of February each year. The Secretary, The Otago Masonic Charitable Trust, P.O. Box 5740, Dunedin, Otago. 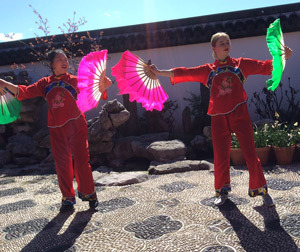 The ladies are now able to perform their ancient dance ritual during the Chinese New Year celebrations. 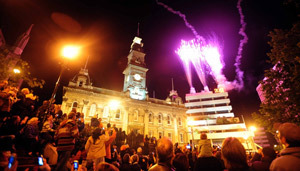 Chinese New Year in Dunedin always starts with a bang! 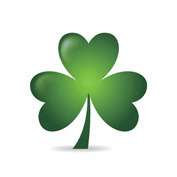 Lodge St. Patrick No.468 I.C.